Sage’s shooting venue asks that all participants adhere strictly to the posted safety rules and regulations. Individuals found bending or breaking rules will be forbidden to shoot here. Sage uses “over-under” style shotguns in all lessons. These guns are super fun to shoot, and are also the safest guns on the market. They allow a maximum of 2 shells loaded at once, and when the gun is broken open, it is impossible to accidentally be fired. All participants are required to have the guns broken open anytime they are not standing in a station shooting. Guns are not to be fired unless individual is standing in a designated shooting stand, which provides barriers that keep the loaded gun pointed in a specific direction, at the targets, away from any other participants/spectators. We have guests that have never held a gun in their life out here taking a Sage Shooting lesson every day. 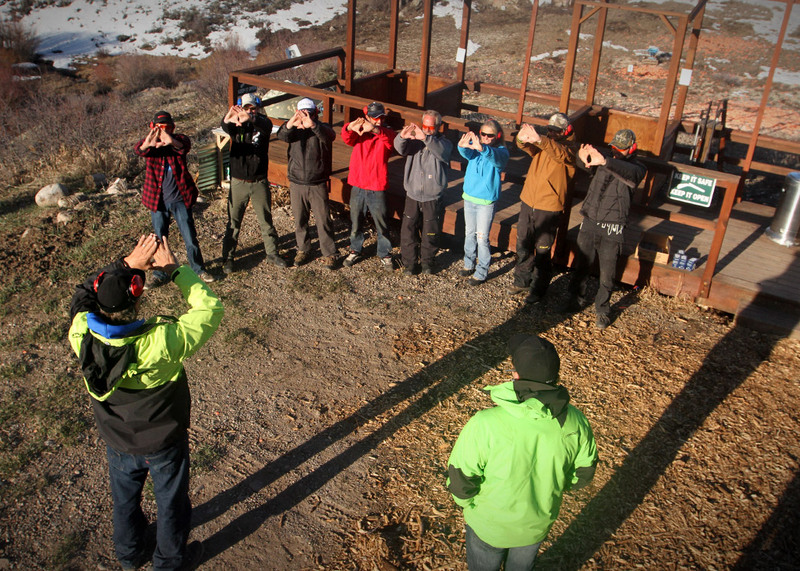 Our instructors and staff are all very good at communication regarding gun safety and instill confidence in all users.